Understanding the importance of dental care is a vital part of a child’s upbringing, but a visit to the dentist isn’t exactly at the top of the list of a child’s favorite things to do! When you’re facing the challenge of bringing your little one in for a cleaning or a check-up, the pediatric dentists of Maine will make the experience painless. 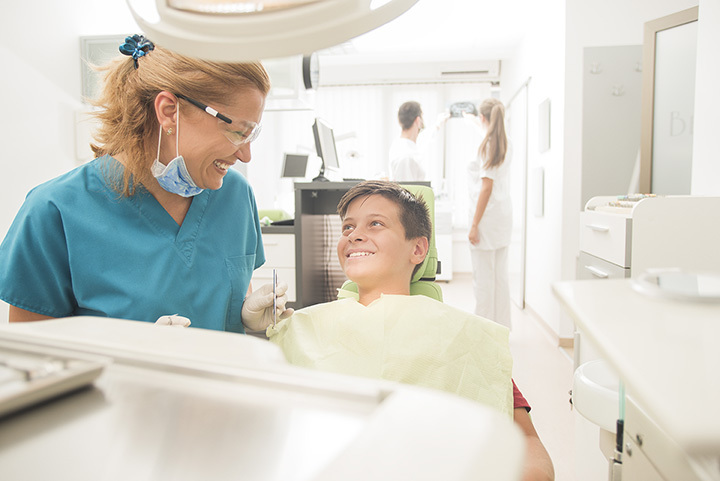 With years of experience and the proper knowledge to put your child at ease, here are the 10 best kid-friendly dentists in the state. Maine Family Dental in Bangor cares for the whole family from young children with just their baby teeth to Grandma and Grandpa. The practice, led by Dr. Travis Buxton, offers a full range of services from preventative care to orthodontics to root canals and same-day crowns. Patients rave about Maine Family Dental’s quality service and knowledgeable, professional staff. Standish Family Dental Health is a full-service dental center serving the communities of Standish, Windham, and Gorham. With two dentists, you don’t have to wait long to get your teeth cleaned. The professional team of dental hygienist and dentists provide dental services in general dentistry, cosmetic, endodontic, and periodontal services. Southern Maine Pediatric Dentistry provides professional and specialized dentistry care for children in Southern Maine. Dr. Wignall is a board certified Pediatric Dentist and has been practicing in Maine since 2005. In addition to preventative care, SMPD provides specialized care in sealants, emergency care, x-rays, and interceptive orthodontics. Rated as one of the best pediatric dentistry centers in Maine, Coastal Maine Pediatric Dentistry has been caring for children of all ages since 2007. Dr. Scholl and her team of professional dental hygienists and assistants specializing in caring for children of all ages. Instead of the traditional dental drill that has been known to terrify children and adults for decades, Coastal Maine Pediatric Dentistry offers dental laser treatment through the Waterlase Dental Laser. With two locations in Windham and Scarborough, Just for Kids Pediatric Dentistry specializes in dental care for infants, children, and teens. Dr. Mills, Dr. McCoy, and Dr. Lawson all have additional training in pediatric dentistry and are ready to treat your child’s needs. In addition to regular preventative dental care, Just for Kids also treats kid’s dental emergencies. With two locations in Augusta and Waterville, Dr. Jonathan Shenkin and his team specialize in pediatric dentistry of children from infants to teens. With Augusta Pediatric Dentistry, your children with have top notch preventative care, orthodontic care, and dental education. Kids can even email the tooth fairy on their website! The new Pines Health Services Dental center has two locations in Caribou and Presque Isle. Each location provides preventative, restorative, and endodontic, and periodontal services for families of all ages. Dr. Levasseur and his team take insurances of all kind, including Medicaid. Morgan Dental Care provided full service dental care for children and adults in the Greater Portland area. Dental services include restorative treatments, endodontic therapy, routine cleaning, cosmetic treatments, and more. If you don’t have dental insurance, Morgan Dental Care offers a special dental coverage plan to make care affordable for everyone. We sent some well deserving patients to the game! Go SeaDogs!! Katahdin Pediatric Dentistry in Bangor specializes in tooth care for children of all ages in the Greater Bangor area. Dr. Gaston To’olo and his team provide high-quality, professional, patient-centered care to ensure all children have healthy teeth and gums. The waiting room is designed a playground and every staff member is trained to work specially with children. Dr. Creisher has been providing pediatric dental care for over 20 years in Massachusetts and Southern Maine. York County Pediatric Dentistry offers preventative, restorative, and emergency treatments for children of all ages. Dental staff spend time with the children to teach them proper brushing, flossing, and good dental hygiene.